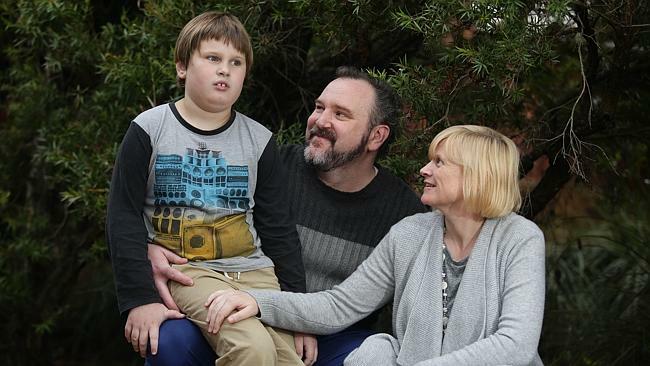 A CREMORNE couple has been left devastated and desperate after being told — via email — their autistic son was no longer welcome at his after school care centre. 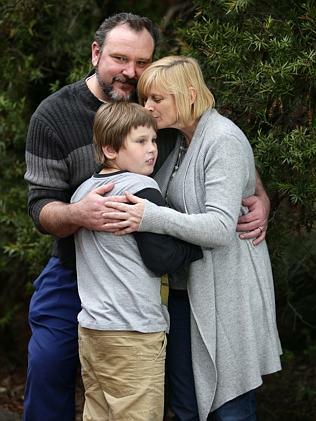 Clancy Williams had attended The Kids Cottage, which is located at Middle Harbour Public in Mosman, for two years before his parents Seamus and Jenny were delivered the heartbreaking news. “There was a request for a formal meeting with the director but that was cancelled and instead we received an email essentially giving Clancy four weeks’ notice,” Mrs Williams said. The staff working with Clancy at The Kids Cottage had been trained to care for children with autism and had also been visited by teachers from Giant Steps, where the 7-year-old goes to school. A tricycle, trampoline, sensory toys and a ball pit were purchased for the centre for Clancy to use. Despite these efforts, a number of incidents of bad behaviour were reported to Clancy’s parents. 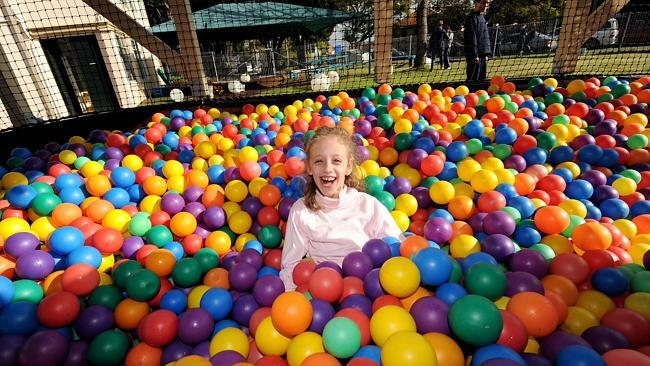 Emma, 8, in the ball pit at Giant Steps, where Clancy attends school. “There was an incident when Clancy had gone into a classroom and broken a cupboard door, and another where he tried to move a fish tank,” Mr Williams said. But the parents had no reason to believe their only son was teetering on the edge of expulsion from the centre. 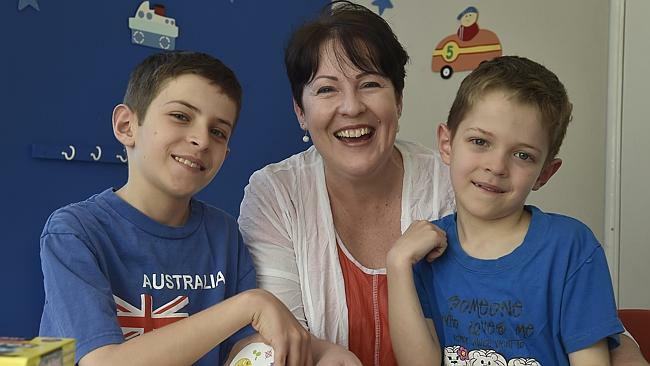 “The reason we enrolled Clancy at The Kids Cottage was because we were told the director was very keen on helping families with children with children with special needs,” Mrs Williams said. The couple is now paying $25 per hour for a private carer. The incident has made the Cremorne family feel even more alone. Department of Education spokesman Mark Davis said Clancy’s expulsion was “necessary to ensure the continued wellbeing of the other 180 other children and staff at the cottage”. “Every effort is made to accommodate children with special needs, however, The Kids Cottage’s duty of care to all 180 children enrolled there required alternative arrangements in relation to Clancy,” Mr Davis said. 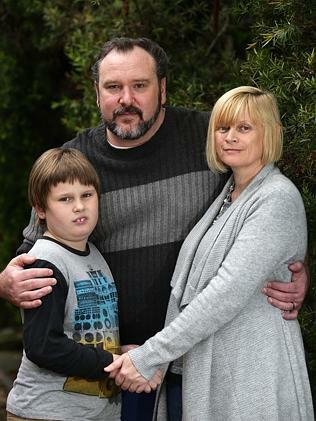 Mr and Mrs Williams are now paying a private carer $25 per hour to take care of their son after school. They were paying just $20 per day for him to attend The Kids Cottage, which was then subsidised to less than $10. “We aren’t well off, we certainly can’t afford for one of us not to work, so that is putting pressure on us financially,” Mr Williams said. Sadly, socialising is one thing the Williams family isn’t enjoying much of. “We’re under no illusions, Clancy’s autism is full-on. Every day for us is full-on,” Mr Williams said. “We can’t take him anywhere so we don’t have a great social life. We’ve tried holidays but they never seem to go so well. 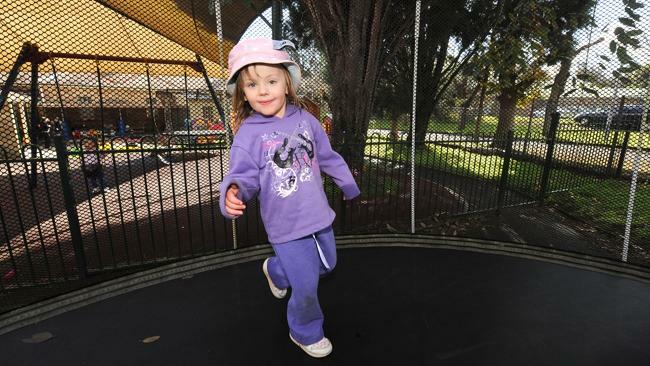 Shelby, 4, loves the trampoline at Giant Steps, which is a school for children with autism. A LACK of understanding and accountability for education providers is to blame for children with autism spectrum disorders being driven out of mainstream schools. That is according to Kylie Ouvrier, who is the mother of two autistic boys and the founder of parent support group Care and Connect. “A lot of providers will take children, promising parents the world, and get the appropriate funding but then not take the measures they are supposed to so,” Mrs Ouvrier said. “It seems to be too easy for schools to get away with breaking their promises. Schools are allocated funding based on the number of children attending with special needs and distribute the funds as they see fit. ”Sadly, not every school distributes its funding in the most appropriate way,” Autism Awareness executive officer Elizabeth Sarian said. “But throwing money at the problem isn’t necessarily the solution anyway. “What we are hearing from teachers is that they need better training. Kylie Ouvrier, whose sons Ben and Nathan have been diagnosed with autism, is calling for education providers to be more accountable. Mrs Ouvrier said the story of Clancy Williams was neither surprising nor uncommon. “Unfortunately, there are an awful lot of families in the same boat because there really isn’t anything available in the way of after-school care,” she said. “Struggling to find the right support is not an uncommon thing for families with children on the spectrum,” said. To join Care and Connect, which meets monthly and is open to parents of children with autism spectrum disorders, call Mrs Ouvrier on 0412 556 232.